Fits all standard 19 inch racks. 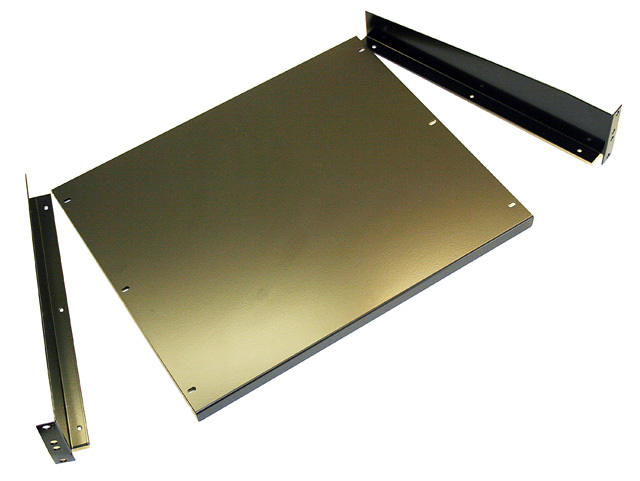 Ideal for mounting equipment not attached to a rack mount. Shelf is flanged for maximum support and is reversible. Panel shelf area is 17 inch x 14 inch. Available in plain or semi-gloss black, complete with hardware.